With the news that Manchester United have triggered the one-year option on goalkeeper David de Gea's contract to avoid any uncertainty over his future heading into the January transfer window, leaves earlier headlines talk about Nathan Trott up in the air. 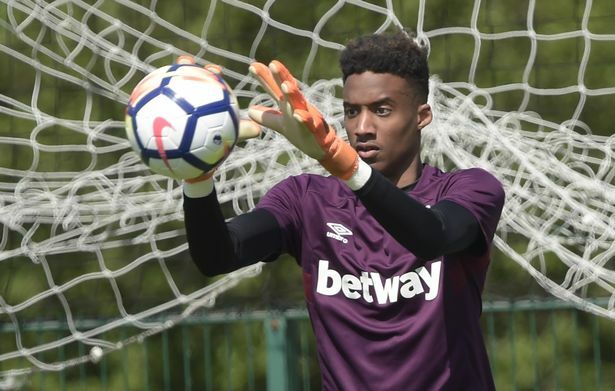 Just over a month ago newspapers throughout England headlined Trott was on Manchester United and neighbors City's transfer radars as West Ham try to sort out new contract. www.islandstats.com will keep an eye on if City plus Germans RB Leipzig, now regular watchers of young English talent, continue keeping tabs on the 20-year-old goalkeeper. Spain international De Gea, 28, joined United from Atletico Madrid in 2011. His contract was due to end in the summer, allowing him to talk to overseas clubs from January 1st and sign a pre-contract agreement. However, United have extended his deal for another year. As manager Jose Mourinho confirmed after Tuesday's 1-0 win over Young Boys, United are keen to hold on to the keeper, who has won United's player of the year award four times in the past five seasons. It is understood De Gea is open to the idea of remaining at the club, although as yet there has been no agreement on terms, with De Gea's camp mindful of the enormous salary United agreed to pay Alexis Sanchez when he joined from Arsenal 10 months ago.